Precision grinding for a great cup of coffee. 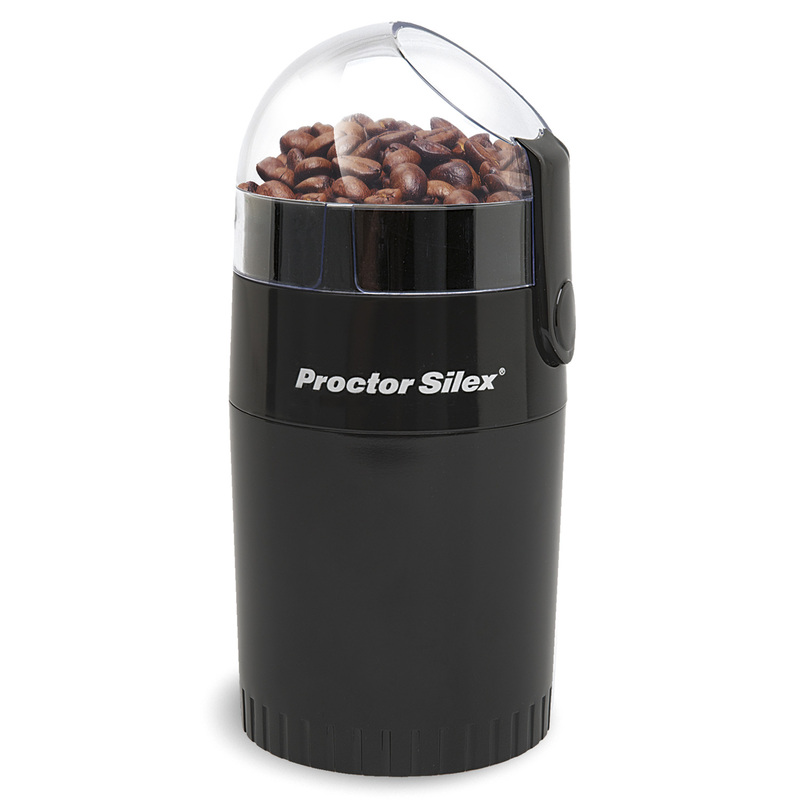 Bring home a bag of whole-bean coffee and grind it fresh to bring out the unique flavor profile of the beans with a Proctor Silex® Coffee Grinder. Easy to clean, our coffee grinders offer a sleek, compact European style. A coffee grinder can stay on your countertop because it takes up little space, or be tucked into a cabinet for quick storage. The stainless steel blades are durable and produce fine grounds. Think of a coffee grinder as a tool to helps you brew a perfect cup of coffee.